While many modern furniture styles may come and go, Mission furniture has endured for well over a century. Thats because Mission furniture offers a classic, traditional look that never goes out of style. Our extensive collection of Michaels Mission bedroom furniture captures the straight, simple lines and close attention-to-detail that appeals to homeowners across the USA. 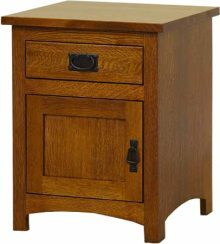 Our collection includes expertly handcrafted Michaels Mission chests, dressers, bureaus, nightstands and more! While many modern furniture styles may come and go, Mission furniture has endured for well over a century. That is because Mission furniture offers a classic, traditional look that never goes out of style. Our extensive collection of Michaels Mission bedroom furniture captures the straight, simple lines and close attention-to-detail that appeals to homeowners across the USA. 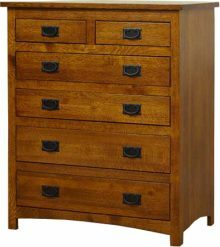 Our collection includes expertly handcrafted Michaels Mission chests, dressers, bureaus, nightstands and more! Northern Kiln-Dried Hardwood Makes the Difference! You cannot produce superior furniture from inferior materials! 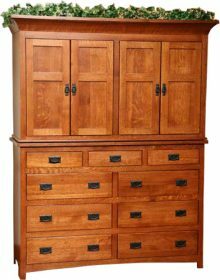 Here at AmishOutletStore.com, our solid wood bedroom furniture is handcrafted from only the highest quality kiln-dried northern hardwoods such as Cherry, Rustic Cherry, Oak and Hickory. 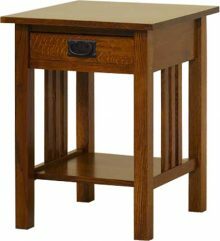 The best Amish furniture makers in all of Ohio and Indiana handcraft each piece, ensuring your Michaels Mission furniture will last a lifetime and will even become a cherished family heirloom. While your personal style and taste will determine much of your décor choices, you can rest assured knowing that whatever your individual preferences, your new Mission bedroom set by Michaels Mission will blend in beautifully. 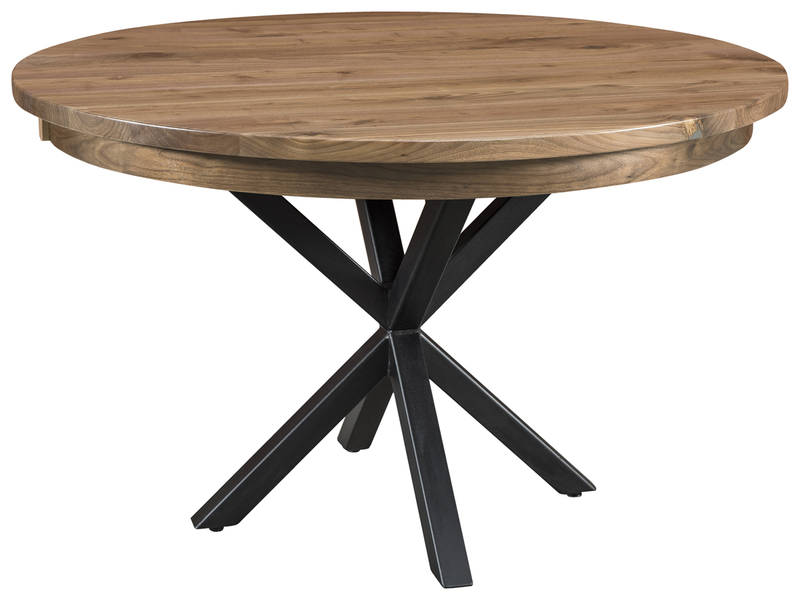 The handcrafted pieces with their natural grain finish are the perfect accompaniment to rustic styles, traditional tastes and even modern mixtures — making them the ideal choice for any home. Pair gold, copper and wrought iron pieces with your Michaels Mission bedroom furniture to enjoy a classic and traditional look that will take you back in time. You could also combine these pieces with exposed wooden beams and natural colors as decorating accents to create a rustic themed sanctuary. In addition, you could mix in a few modern pieces featuring shiny metals, edgy mirrors and contemporary artwork to blend the natural world together with the industrial world for a mixed décor that feels effortless. The Michaels Mission bedroom collection is available in a variety of wood types including Hickory, Maple, Oak, White Oak, Rustic White Oak, Cherry and Rustic Cherry to accommodate varied personal preferences. The wide variety also allows for other AmishOutletStore.com pieces to be incorporated into the décor of your bedroom regardless of your chosen style. Some of the greatest things about the Michaels Mission Bedroom collection are the endless possibilities it provides for creating personalized and unique bedroom sets you will love and its ability to match with many other AmishOutletStore.com pieces. Being able to mix and match your bedroom set to create a unique and personal look is a benefit that most bedroom furniture doesn’t provide you with. They are usually already packaged and sold as a set, rather than a coming in a mix-and-match collection. 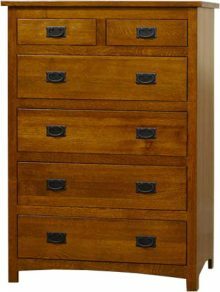 Whether you need a nightstand or two, a dresser, armoire, mule chest, man’s chest or even a lingerie chest, the Michaels Mission bedroom collection has you covered. When you purchase a piece from the Michaels Mission bedroom set, you can rest assured knowing that it will match beautifully with any other Michael Mission pieces you choose, as well as a variety of other pieces found through AmishOutletStore.com. Your ability to customize your Michaels Mission bedroom furniture does not stop with your choice of hardwood. You can also select from a wide range of attractive wood stains to achieve the ideal finish to complement your unique bedroom décor. Use our online design tool found on every product page to experiment with various woods and stain combinations. Unleash your inner designer! Stop trying to compromise with your spouse on a bedroom set neither of you truly want and take a look at Michaels Mission bedroom collection for a perfect mix between masculine and feminine. This bedroom collection design provides a little bit of something for everyone — so everyone gets exactly what they want, and no one leaves unhappy. The Amish understand and appreciate how important durability and reliability truly are because their own furniture is frequently passed through generations. The craftsmanship and detail they put into making these pieces of furniture for your bedroom is impeccable. Because these furniture items will see quite a bit of wear and tear through the years, it’s important for you to know they can withstand the pressure of everyday use. When it comes to carpentry, the Amish are among the best. Finding a better crafted and longer-lasting piece of bedroom furniture made elsewhere is quite the challenge. We provide many ways to help our customers save more on their Amish bedroom furniture purchase. Take advantage of our volume discounts that enable you save up to 13% off your entire order. We will also give you 3% off just for paying by personal check. Best of all, if you order right now, you will get up to 33% off the suggested retail price on any piece in our collection! 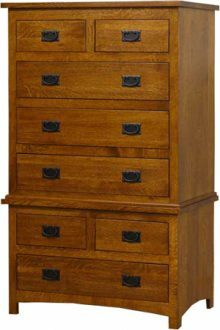 In addition, when you include our friendly, personalized customer service, there is no better place to purchase Amish bedroom furniture! Add a classic look to your bedroom that you will enjoy for many years to come. 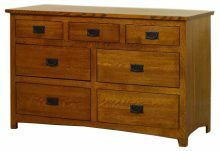 View our entire collection of handcrafted solid wood Michaels Mission bedroom furniture and place your order today!